Over the past decades communication and outreach has become a fundamental concern of state-of-the-art research communities. The relationship between science and society has begun to change radically and communication has become a necessity. Furthermore it is important to improve how scientists share results with the scientific community, in order to enhance the quality of the research and to facilitate collaborations. : it is necessary to learn how to make posters effective, how to communicate aims and methodologies in scientific papers and proposals, how to get projects funded. Also students will receive coaching from experienced researchers on proposal and report drafting, and on how to improve communication to policymakers, general public and school students. Being involved in science communication activities will allow the students to gain communication technical skills that will be useful in their wider lives and will remind the students that science is an heritage that needs to be shared as a part of our culture. The school is divided into 2 modules, the first 4 days will be dedicated to the science communication in general so it will be open to researchers of all fields, the last 2 days will be focused on Geoscience communication with specific laboratories with experts explaining how to give the best ideas about Earth sciences to different types of audiences. The school has the aim of offering overview and training of scientific communication skills in all its forms. The school will treat communication not only with an “educative aim” but also with a “scientific aim”. The lecturers will therefore not only present an overview of science communication from a theoretical point of view, but also will offer practical activities on abstract/paper writing and poster editing, on proposal and report drafting, and on how to improve communication to policymakers, general public and schools. All the lectures will be accompanied by laboratories and students will experience concrete activities: for example each student will present a poster at the beginning of the school and posters will be corrected and improved at the end applying what learned during the school; at the end of the school students will try to provide accurate but concise information about their science to the general public recording a short movie (famelab-like) which will be published into our website to get feedbacks. – Simple registration fee is 230€ including excursion, coffee breaks and teaching material. – Full board registration fee is 510€ including (***) hotel accommodation, meals, excursion, social events, coffee breaks and teaching material. – Simple registration fee is 280€ including excursion, coffee breaks and teaching material. – Full board registration fee is 700€ including (***) hotel accommodation, meals, excursion, social events, coffee breaks and teaching material. Hans Peter Peters is a social scientist at the Research Center Juelich, Germany, and Adjunct Professor of Science Journalism at the Free University of Berlin. His scientific interests are in the domain of Public Communication of Science and Technology (PCST) with an emphasis on scientists as public communicators, their role as “experts” in discourses about environmental and risk issues, and their interactions with journalists. His current research looks at the implications of three trends for science communication: (1) increasing strategic orientation of scientific communicators and its possible repercussions on science, (2) rise of the “public engagement” paradigm with its challenge of the traditional boundary between science and the public, and (3) changing public arenas in an Internet-based media system with alternative paths to the public sphere and new communicators, media, gatekeepers and selection criteria. – Peters, H. P., Dunwoody, S., Allgaier, J., Lo, Y. Y., & Brossard, D. (2014). Public communication of science 2.0. Is the communication of science via the “new media” online a genuine transformation or old wine in new bottles? MBO reports, 15(7), 749-753. – Peters, H. P. (2014). Scientists as public experts. Expectations and responsibilities. In M. Bucchi & B. Trench (Eds. ), Routledge Handbook of Public Communication of Science and Technology (2nd ed., pp. 70-82). London: Routledge. – Peters, H. P. (2013). Gap between science and media revisited: Scientists as public communicators. Proceedings of the National Academy of Sciences, 110(Supplement 3), 14102-14109. 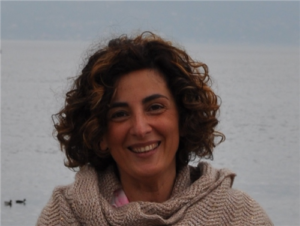 Gemma Musacchio is a scientist at Istituto Nazionale di Geofisica e Vulcanologia (INGV, Italy) where she does research in the field of communication of seismic hazard and risk. She has a PhD in Earth Science (University of Milano, Italy) and a Master in Scientific Journalism and Institutional Communication of Science (University of Ferrara, Italy). She has been a research scientist at several institutions in Europe, USA and Canada. Her background research interests include the study of the structure, composition and evolution of the Earth Lithosphere. She has published several papers in international journals and books, and coordinated European projects devoted to risk communication; she is a jury member of science dissemination national prizes. – Musacchio, G., Falsaperla, S, Piangiamore, G. L., Solarino, S., Crescimbene, M., Pino, N. A. Eva, E., Manzoli, F. , Butturi, M. , Fabbri, M. and Accardo M. (2017). KnowRISK on Seismic Risk Communication: the set-up of a participatory strategy. In: Proceedings of the International Conference on Earthquake Engineering and Structural Dynamics, 12-14 June 2017, Reykjavik, Iceland. Silvia Kuna Ballero is graduated in Physics and obtained a PhD in Astrophysics at the University of Trieste, Italy. She has a Master in Scientific Journalism and Institutional Communication of Science (University of Ferrara, Italy). She works in the field of secondary education and is also a freelance journalist and science communicator, and is mainly concerned with the relationship between science and other stakeholders. 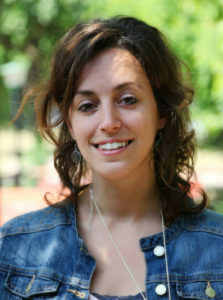 She collaborates with the Italian editions of Scientific American, Wired, Motherboard among others, and is a member of SWIM – Science Writers in Italy. Enrica Battifoglia works for the Agenzia Nazionale Stampa Associata (ANSA) for which she coordinates the “Scienza e Tecnica” branch. She got a bachelor in science communication in 1983 and a master degree in phylosophy in 2003 with a thesis on scientific journalism in Italy. For ANSA she has participated at the 21st expedition in Antarctica (2005), at the parabolic flight campaign (2006) organized by the European Space Agency (ESA), and the scientific mission to Mount Everest K2-CNR (2007). She was lecturer at the seminar “Come nasce una notizia scientifica” at IUSS in Pavia (2007) and at the Master in Sicence Communication of Rome Tor Vergata University (2007-2008). She is also author of several outreach books for children and she won the journalist awards “Giovanni Maria Pace” (2008), “Voltolino” (2009) e “Capo d’Orlando” (2010). 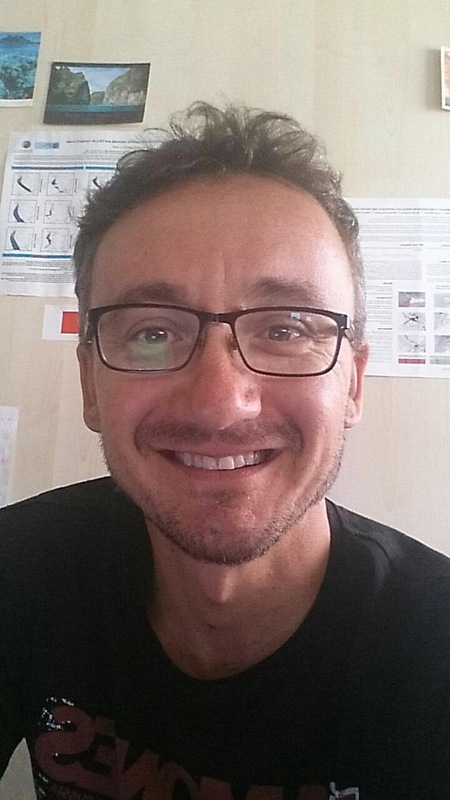 Riccardo Biondi is a freelance researcher, graduated in electronic engineering with a PhD in atmospheric physics. His research activity is focused in extreme atmospheric events such as tropical cyclones and volcanic eruptions. He is Marie Curie alumnus and AXA Research Fund alumnus, Management Committee Member of two COST Actions and founder of the (Geo)Science Communication School and the international training school on Convective and Volcanic Clouds (CVC) detection, monitoring and modeling. Andrea Cerase is a social scientist with an academic background in media sociology and risk communication. He obtained in PhD in Sciences of Communication at La Sapienza University of Rome. He is actually engaged in Science / Risk communication activities of the Tsunami Alert Center of the INGV, also including research activities on tsunami risk perception and media monitoring of risk related issues. – Cerase, A. (2017) Rischio e comunicazione, Teorie, Modelli, Problemi. Egea, Milano. – Cerase, A. (2017) Amatrice anno zero: come cambia la rappresentazione mediale della scienza nei terremoti, in “Problemi dell’ informazione” 3 pp. 401-430, doi: 10.1445/88098. Giovanna Cultrera is graduated in Physics, she is a seismologist researcher at the Istituto Nazionale di Geofisica e Vulcanologia (INGV, Italy). She studies the effects of subsoil and seismic source on the ground movement and its consequences on seismic hazard, and she coordinates the emergency group Emersito for local seismic response studies during seismic sequences. She carries out educational activities and teaches the course of Seismology and Geodesy at the University of Roma Tre, Rome. She has been visiting researcher in different international Institutions and participated in national and international research projects. – Burrato P., Casale P., Cultrera G., Landi P., Nappi R., Nostro C., Scarlato P., Scotto C., Stramondo S., Tertulliani A., Winkler A., Bonifaci U. (2003). Geophysics for kids: the experience of the Istituto Nazionale di Geofisica e Vulcanologia (Italy). Seismological Research Letters, 74, n.5, 529-535, doi: 10.1785/gssrl.74.5.529. 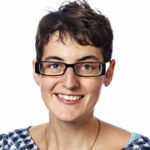 Sarah R Davies is Lektor (associate professor) at the Department of Media, Cognition and Communication at the University of Copenhagen, Denmark. She researches the relationship between science and society generally, and science communication specifically. Her career started in exhibition development at the Science Museum, London, before a PhD in Science and Technology Studies at Imperial College London. Her recent work includes the books Science Communication: Culture, Identity and Citizenship (2016, with Maja Horst) and Hackerspaces: Making the Maker Movement (2017). Agostino Goretti joined in 1997 the National Seismic Survey, merged in 2002 in the National Civil Protection. He graduated in Civil Engineer at Rome University where he received his PhD in Structural Engineering. As senior earthquake engineer he has been mainly involved in development, implementation and monitoring seismic risk assessment and mitigation programs. He participated at several EU-funded projects devoted to the implementation of national and multinational resources for post-earthquake safety and damage assessment to be deployed in seismic international emergencies. UCP (Union Civil Protection) trained, he participated at national and international seismic emergencies and exercises. Structural engineer expert in the UCPT deployed to Nepal (2015), Ecuador (2016) and Mexico (2017). He gave academic lectures, and talks at science festivals concerning seismic emergencies and including disaster risk management for schools . – Goretti A., Molina Hutt C. and Hedelund L., (2017), Post-earthquake safety evaluation of buildings in Portoviejo, Manabí province, following the Mw7.8 Ecuador earthquake of April 16, 2016, International Journal of Disaster Risk Reduction, Vol. 24, Pages 271-283. – Dolce M., Goretti A., (2014), Lessons Learned and Preparedness in International Interventions on Post-earthquake Safety Assessment, Proc. Conf. Elicit to Learn Crucial Post-crisis Lessons, Elite project, Warsaw, 25-26 June 2014. – Himmelsbach, Raffael. 2017. “How Scientists Advising the European Commission on Research Priorities View Climate Engineering Proposals.” Science and Public Policy, doi:10.1093/scipol/scx053. – Himmelsbach, Raffael. 2018. “Politikberatung im politischen System der Schweiz.” In Handbuch Politikberatung, 11:1–16. Wiesbaden: Springer Fachmedien Wiesbaden. doi:10.1007/978-3-658-07461-6_42-1. Rita Nogherotto is a researcher, graduated in physics with a PhD in clouds microphysics. She works on climate modeling and extreme atmospheric events representation. She is member of a COST Action, founder of the (Geo)Science Communication School and co-organizer of the Pint of Science event in Trieste. Actively involved in science dissemination in the schools, with a special focus on climate change and its impacts. 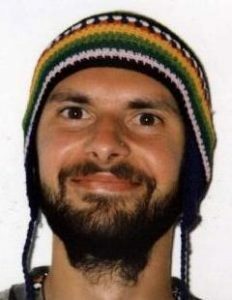 Daniele Tenze is a science animator and communicator with a big experience of working in the performing arts industry. After the Master’s degree focused in Geological and Earth Sciences/Geosciences from University of Trieste he worked in a independent Movie and Theater production company, Collective Productions, as actor, producer, web designer and project manager. Since 2015 he started to work at Immaginario scientifico, a Science Center in Trieste, and later at Ecomuseo delle acque del Gemonese (UD), and at the H-Campus (VE). In 2017 he is one of the funders of “Topi da laboratorio”, a company of theater science communication, produced by theater Miela in Trieste.